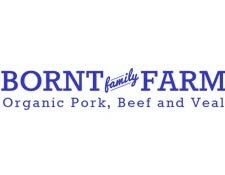 Every Saturday | 9 a.m - 2 p.m.
At Bornt Family Farm, we raise all natural meats including beef, pork and veal. Meat is available as frozen packages or individual cuts. We also do pig roasts and have live animals for sale.